Home breeds of dog cute pet cute puppy dog Humor humor posts liquor pet puppy puppy drinking wine raising a puppy wine A Drunken Puppy! Since October is a month for beers and liquors, look what we have right now...a drunken cute puppy! Oh yeah! Yup, that is a real puppy. This was tagged to me by one my my Facebook friend who is selling cute puppies. And it really took my attention! It was my first time to see a puppy who loves to drink wines and liquors. It seems that, he is very happy roaming around the bottles of expensive wines. And he turn down one bottle. He tried drinking all of the wines inside it! 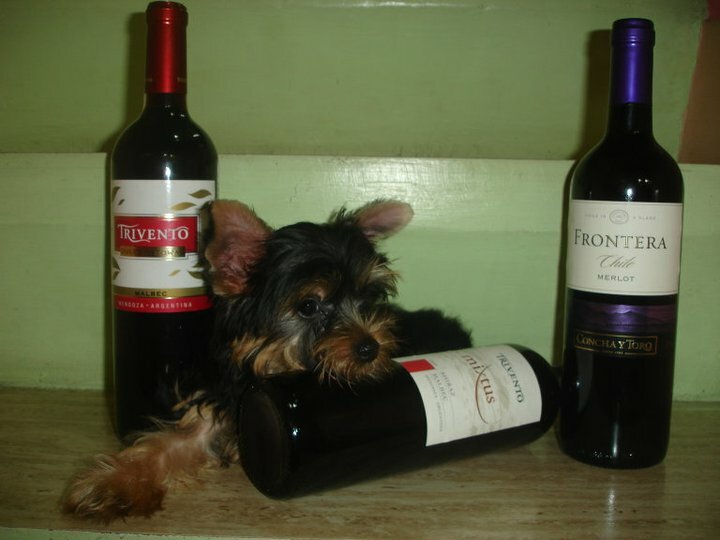 Hayz...if all the puppies out there were like this, expect that a liquor ban will be released so very soon!